t some point in the future, if your startup is a success, you will have an entire sales team, not just one salesperson. How will you organize this team? No one structure fits all companies. The structures differ depending on the industry, the product, the size of the team, the sales funnel, and the sales process. And the structures do often change over time, as it is difficult to determine which will work best for your company. For now, even if you have yet to hire your first salesperson, it is worth an hour to think about how you will structure your sales team, because you can start implementing some of this structure today. The first factor you need to consider is whether the salesperson who closes a sale will continue to interact with the customer after the sale. In other words, are the salespeople responsible for making new sales only or for ongoing customer/account management, too? These two roles are often called “hunters” and “farmers.” Some people are good at both roles. Some salespeople enjoy the hunt for new customers. Some enjoy making existing customers happy, selling them add-ons, custom projects, or whatever else you will be selling after the initial sale closes. So, in your sales team, are you going to have separate hunters and farmers, or will all your salespeople perform both roles? If separated, then how and when do you make the hand-off of customers? Beyond this split, some sales teams also split out the role of identifying qualified leads. Remember, marketing provides unqualified leads; the sales process then needs to determine which of these leads are likely to buy now. At one of my past startups, we hired a half-time employee to call each of the unqualified leads and ask them about their plans for mobile advertising, their existing mobile and online market-research subscriptions. With that knowledge, this person generated a list of qualified leads, which was then passed down to the hunters. If your startup is national or international in scope, the next factor to consider is whether you will divide your sales team by geography. Will each salesperson sell to any potential customer anywhere? Or will salespeople be assigned specific geographies, such as East Coast/West Coast in the U.S.? Other divisions are U.S./Canada/Mexico, if sales are across North America, or even uptown/downtown/suburbs, if sales are limited to a single, large city. If your sales team is geographically divided, the next consideration is whether they all work in a single office, or whether you set up offices within each target geography. 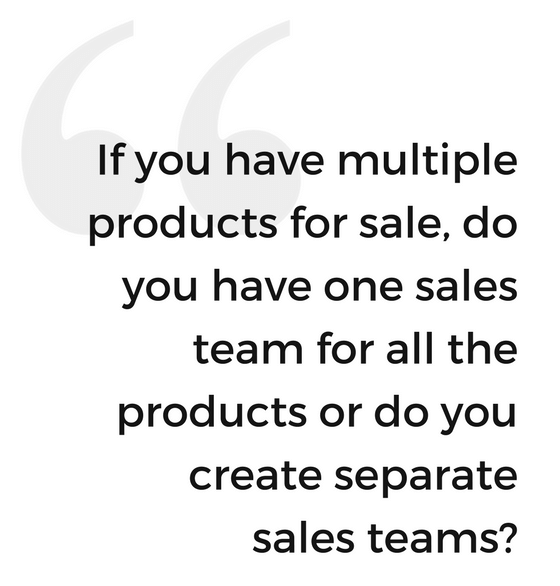 If you have multiple products for sale, do you have one sales team for all the products or do you create separate sales teams? 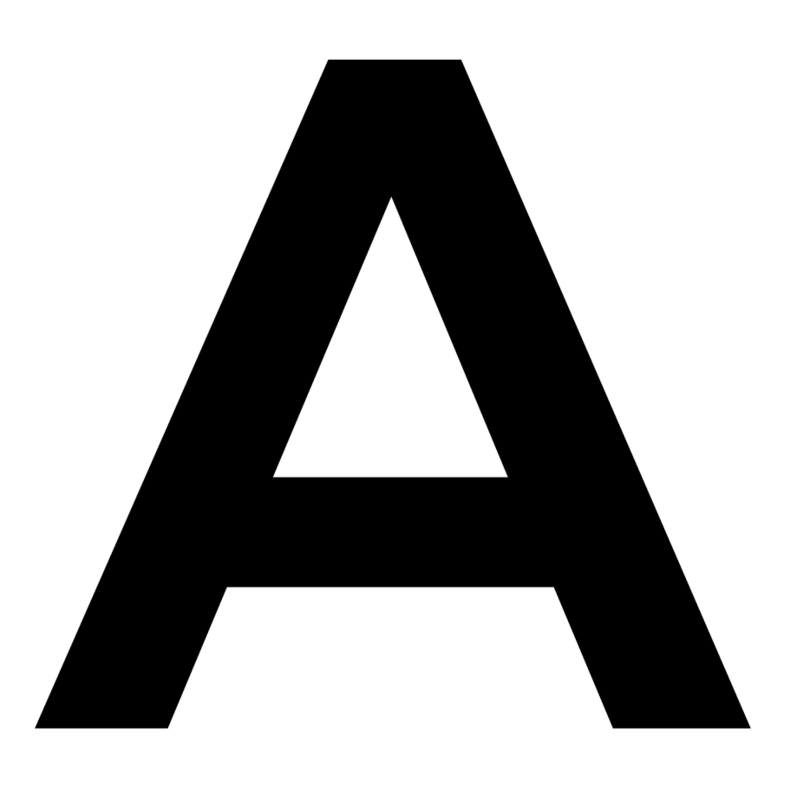 For most startups, this is easy, as there is only one product or service to sell. But as startups grow, they often add on new products or services, and the question then arises of how to add to the sales team. If all salespeople sell all products, then each salesperson has to understand the benefits and intricacies of all the products, which can be difficult. However, if you split up the team by product, then multiple salespeople from your company can end up selling to the same person, as a potential customer, at the same time, which is inefficient. Furthermore, if there are separate Account Managers for each product, then you’ve lost the advantage of “upselling” an existing customer a second product. If you are selling to multiple customer segments, you can choose to divide your sales team based on those customer segments. For example, if your product is used differently by large companies and small companies, you may assign some salespeople to the large companies and some salespeople to the smaller companies. Or you might have one sales team for sales to private companies and another for sales to governments. Or, in a multilingual country, some salespeople sell to customers speaking one language, other salespeople to the other language. All of the above factors combine to give you dozens of choices in organizing your sales team, and those choices can differ from sales office to sales office or from segment to segment. This series has been curated from Luni’s book, The Next Step: Guiding You From Idea to Startup. For more on business planning, planning your marketing and sales efforts, creating a financial model, crafting a great pitch, raising capital, and splitting the pie with your team, check out the complete series.